Having problems with frequent sewer or drain clogs in your bathroom and kitchen? 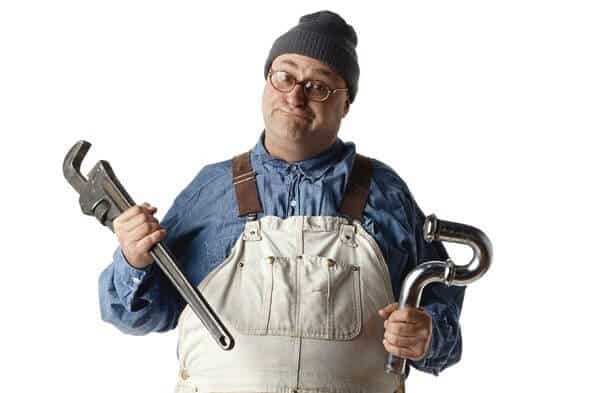 Call a local NJ plumber to get it clear quickly. The problem might not be your individual drain or sewer pipe. Instead, you might have a clogged or damaged sewer line, creating widespread plumbing problems throughout your home. Sewer clogs can form from dirt, grease, paper products, and other materials that build up inside the drain pipe, restricting water flow. Eventually, this can lead to sewage backup into your pipes and plumbing fixtures, potentially causing water damage in your home. At A1 Sewer & Drain Services, we help local homeowners solve sewer problems every day all over New Jersey. We serve Bergen County NJ, Hudson County NJ, Union County NJ, Passaic County NJ, Essex County NJ and Morris County NJ. We provide sewer cleaning, sewer repairs, and other services to eliminate blockages, fix cracked pipes, and even replace collapsed sewer lines. Call the best NJ sewer cleaning company anytime when you need fast, professional sewer cleaning companies in NJ. It’s not uncommon for NJ homeowners to start noticing frequent sink clogs, drains that won’t empty, toilets that won’t flush, and other widespread problems that point to a clogged sewer pipe. When the obstruction is located in an underground sewer main line, instead of in an easily accessible drain pipe, you’ll need a professional NJ sewer plumber to use specialized equipment to clear out the sewer. 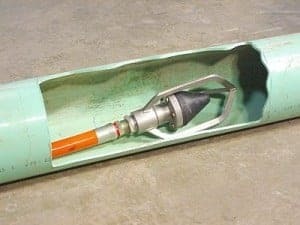 The most effective method of sewer line cleaning is called hydro jetting, which uses water at high pressures to blast away debris and restore water flow through a sewer pipe. Sewer jetting is a quick, simple process, with the equipment entering the pipes through your sewer cleanout. 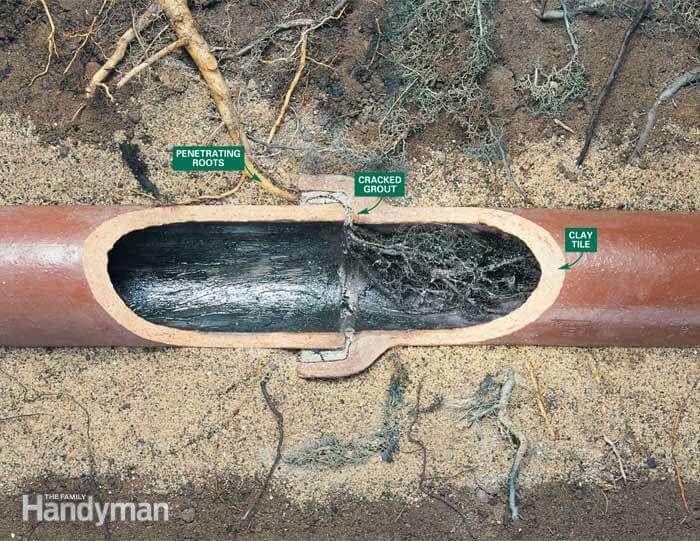 Even tree roots and other stubborn debris can easily be removed with sewer hydro jetting. Hydro jetting for sewer line cleaning works by using extremely high water pressures, similar to a water pressure. This forcefully removes roots, sediment, sand, grease, and other materials that contribute to a clogged sewer line. Grease removal. Water from hydro jetting nozzles forcefully pulverizes grease into an emulsion of tiny droplets, allowing it to be washed safely downstream and away from your property. Tree root removal. The force from hydro jetting is sufficient to break apart even thick, stubborn tree roots, eliminating sewer blockage. Sewer line cleaning is usually needed to remove the roots before contractors can perform sewer repairs for cracks and other damage caused by the roots. Breaking up organic sludge. The material causing a clogged sewer pipe can sometimes be best described as “sludge,” an accumulation of greasy materials from solid waste. Hydro jetting can break it apart. At A1 Sewer & Drain, we provide more than sewer line cleaning service. We’re also available 24/7 for emergency sewer repairs for collapsed pipes, sewer backflow emergencies, and more. 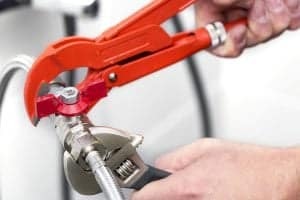 Call us any time, day or night, for same-day plumbing service in NJ in as little as 45 minutes. 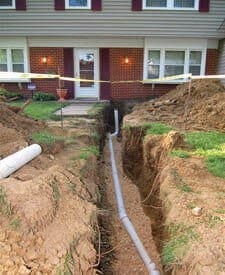 We also offer sewer replacement, new sewer line installation, and and other drain and sewer plumbing services for NJ homes and businesses. To find out more, call us at 201-645-0888.